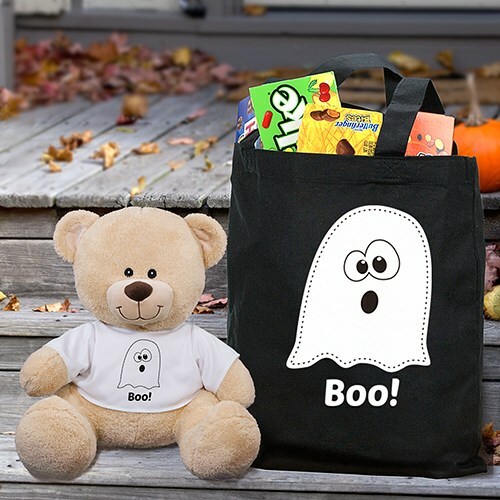 Halloween Boo Sherman Bear and Tote Set - 11"
This Halloween Teddy Bear and Tote Bag Set is the perfect addition to any Halloween celebration. Sherman features contrasting tan fur on the inside of his ears and his snout. He measures about 11” tall. The Tote Bag is available on our premium black canvas cotton/poly blend, machine washable Tote Bag measuring 16"h x 15"w. This design may be featured in our boy or girl design.